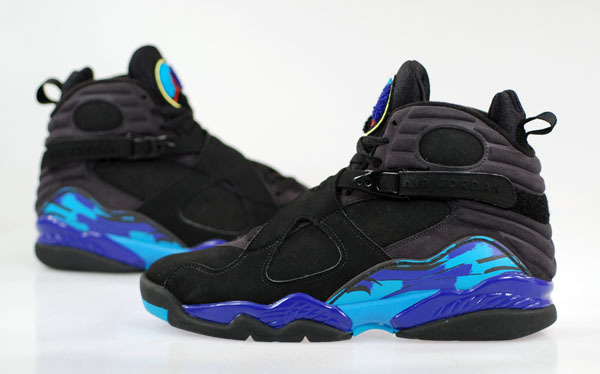 This classic color way of the Air Jordan 8 received a re retro in 2007 and sports a slightly updated look. The sneaker features a Black upper as well as Black laces and straps. Concord and Aqua accents are applied onto the tongue, midsole and side panel as well as on the outsole to finish this color way.